AUCKLAND (Pacific Media Watch): Media experts say journalism institutions lack the resources needed to raise the quality and awareness of environmental reportage in the Asia-Pacific region. 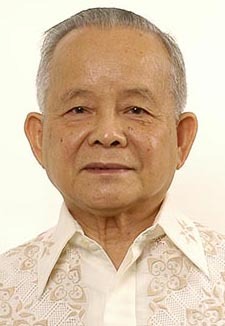 Widely published writer and chairman of the Asian Media Information and Communication Centre (AMIC), Professor Crispin Maslog says that because of this he rarely sees climate change being reported in Asia-Pacific media. “Based on my experience in the Philippines and Southeast Asia, the problem has been the lack of science courses in the curricula, the lack of teachers to teach the basics of science and the environment,” he said. Dr Maslog writes an analysis blog on science and development at the SciDev.net website with his latest column on Asia's "invisible women farmers". 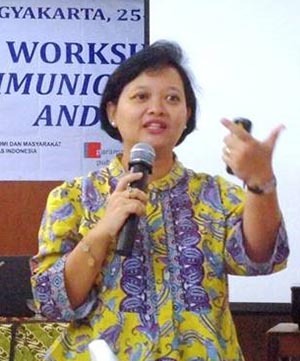 The Indonesian country representative of AMIC and a researcher of indigenous and environmental issues, Dr Hermin Indah Wahyuni, says a key challenge such as climate change is often overlooked by the media because it is not emphasised in many journalism schools. "Journalism lecturers in most Indonesian communication departments don't offer specific attention to this issue [climate change]," she said. This results in a "fallback effect" when students leave to join major media organisations. She says a factor contributing to the quality of climate change reportage is that it is seen as an unpopular topic because it is competing with other issues that are having immediate effects on people. "Topics like corruption, political conflict, and economic issues," she says are examples that are given priorty over climate change. Dr Hermin Indah Wahyuni and Dr Maslog will be presenting on a panel about the challenges of climate changel reporting and journalism education at the World Journalism Education Congress (WJEC) held in Auckland next month. They are both sponsored by the Asia New Zealand Foundation’s media programme, which supports media professionals to take up placements or projects in New Zealand or Asia. Foundation media adviser Rebecca Palmer says events like the WJEC are a great way for journalism educators around the world to interact and share knowledge with their counterparts. “We hope they have the opportunity to shed light into current affairs and media issues in their home countries and that they build networks with New Zealand-based journalism educators, who will then be able to pass their knowledge on to their students,” she says. In addition a former secretary-general of AMIC and investigative journalist, Jose Maria Carlos, will also present at the conference. Currently a desk editor with CNN Philippines, Carlos has been busy preparing news coverage for the inauguration of the Philippines President-elect, Rodrigo Duterte. The Pacific Media Centre is sponsoring Carlos to attend the WJEC. The World Journalism Education Congress (WJEC) will be held at AUT University's city campus in the Sir Paul Reeves Building. It will run from the July 14-16 and follow an Australia-NZ-Pacific preconference on July 13 jointly staged by the Journalism Education and Research Association of Australia (JERAA), Media Educators Pacific and the Pacific Media Centre.